Did Gisele Bundchen Say Yes to Plastic Surgery? Links to goodplasticsurgery.com - breast augmentation and rhinoplasty. "No way (will I have surgery). Actually, I asked my mother the very same question and she said, 'It's taken me 58 years for me to look like this. You think I'm going to ruin it now?' 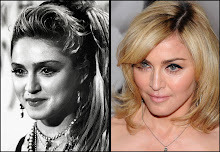 She looks great, so I hope I will look the same." It's easy to say that when her mother has passed on such great genes! The liposuction was done on the teen's chin, abdomen and flanks. The family's civil suit charged that a blood vessel in Amy Fledderman's neck was severed during surgery, and that the plastic surgeon realized too late she was in trouble. 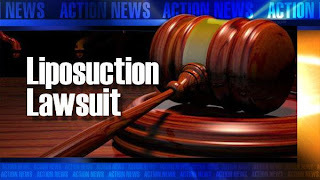 The doctor's office was not licensed by the state Department of Health, and his liposuction privileges at Main Line Health Hospitals had been restricted, the plaintiffs said. The plastic surgeon, in court filings, said that Fledderman had a difficult time emerging from anesthesia. The nurse anesthetist said she died after developing a rare fat embolism. I don't know any more about the details of this sad event from seven years ago. $20.5 million is an enormous amount of money. If the surgeon maxed out his malpractice insurance policy it will cover the first $1 million of it, leaving the remaining $19.5 million to come from everything else he (or the nurse) owns or will ever own (depending on state and national laws). Was the doctor horribly negligent in caring for this young woman? I don't know. Was this just a freak event that could not have been prevented except for not performing the surgery? I don't know. If we are to have faith in the American courts, we must assume that the former is true, otherwise the doctor and nurse have had their lives destroyed for no fault of their own. What I do know is that nothing will ever bring that 18 year old girl back, but massive awards like this can never be paid off during any doctor's lifetime. This is a tragic case for all involved. What do you think about awards like this? I am interested in what my readers think about these multimillion dollar judgements against hospitals, doctors, and nurses. As a physician, I have my own beliefs, partly because the spectre of a lawsuit always hangs over the head of every doctor, no matter how hard he or she works to give his or her patients the absolute best and safest care. Some of the finest doctors I know, however, have been sued, many more than once. Take a look at her forehead in the photo. It is smooth as a baby's bottom. That is one nice Botox result. Even two decades after she became Miss America, she is still absolutely stunning. Too bad, Rick Fox! Kim Kardashian - Breast Implants? Does Kim Kardashian have breast implants? 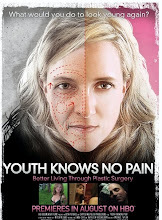 Take a look at some photos from MakeMeHeal.com. It does appear that her breasts have gotten unnaturally larger. Does she have both breast and buttock implants?? Click here for my previous post on her possible buttock augmentation. According to the blog Hollywood Rag, this woman is the Guinness world record holder for the world's largest breast implants. Apparently she has FFF size breasts. Obviously Guinness didn't see my previous post "The World's Largest Breasts and Silly String Implants." The breast implant company I use, Mentor, makes implants up to 800 cc in size. The largest I've ever put in for cosmetic indications is about 650 cc. In breast reconstruction, 800 cc is not terribly unusual. Unfortunately, the larger the implants, the faster they will droop and the more complications they may have. 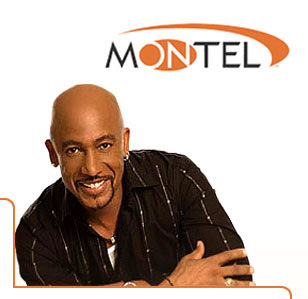 I was a guest for the Montel show, airing this Monday, May 19th. The episode features one of my patients with BDD (Body Dysmorphic Disorder) and during the episode I discuss her treatment (or lack of it) with Montel. Click here for details. Thanks to Montel Williams and the producer Joelle for inviting me to the show! This interesting video contains some photos of what appears to be Michael Jackson's actual vitiligo. It is made by an obvious Michael Jackson fan, and has some very eye-opening photos. Check it out if you have eight free minutes (the first 4 minutes are the most interesting). 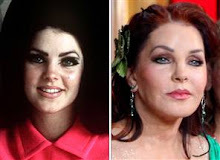 Thanks to AwfulPlasticSurgery.com for the link. Kim Kardashian was filmed undergoing anti-cellulite treatments on her E! Television reality show. Here is a link to the video on the great Celebrity Smack! blog. The three most common cellulite treatments are Velasmooth (which Kim had), Dermosonic, and Endermologie. All of them employ a deep tissue massage with various other treatments. I am partial to Dermosonic, which I have in my office, although I think they all work. Dermosonic combines external ultrasound treatments with a deep tissue massage using mechanical rollers. Unfortunately, I don't know of ANY permanent cellulite eradicator. Most treatments provide for the "temporary reduction of the appearance of cellulite." 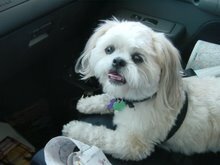 This means that the treatments must continue to a certain extent for the results to continue. But feel assured, even a glamorous young Hollywood star like Kim Kardashian has cellulite! To view a video of an anti-cellulite treatment we did for local Fox 2 News, click here. 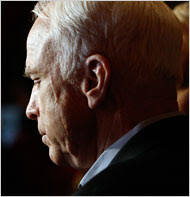 The New York Times has recently jumped on John McCain for his history of melanoma. Apparently, he's had a history of four melanomas removed. Melanoma is a dangerous form of skin cancer, and can metastasize to other organs and cause death. It is because of this that physicians recommend you to see your doctor if a mole displays one of the following signs: Assymetry, border irregularity, various colors, size greater than 6 mm, or changes in the mole. 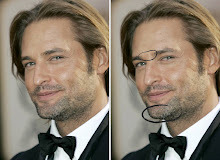 If you are looking for a pleasant diversion, check out iVillage.com for a Celebrity Plastic Surgery Concentation Game 2. In this game you try to match before and after photos of celebrities and their plastic surgery. My time was 87 seconds. Can anyone beat that? Many of the online complaints were from women who said they had a face-lift after seeing Lifestyle's infomercials. One woman claimed she lost hearing in one ear. Another said "every week my face proceeds to return to the way it was before the lift." Another said, "I feel ripped off." The lawsuit was a bid to stifle free speech, according to Public Citizen, which defended the case. I do not perform the Lifestyl- Lift. Note: I am spelling it Lifestyl- Lift so that they don't sue me too. Halle Berry - Breast Augmentation? This photo of Halle Berry has been circulating around the internet and in magazines. Does it show a scar in her armpit from a breast augmentation? It is definitely possible, however I usually place the scar in a wrinkle crease of the armpit which is perpendicular to the possible scar that we see here. It doesn't make much sense for her surgeon to place the scar in this direction because it would only make it more visible. It's possible that she doesn't have breast implants at all, and the scar is from something completely unrelated. No matter what it is from, one thing is certain. She looks fabulous. 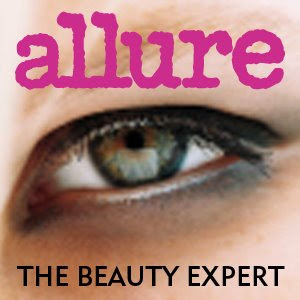 Allure magazine has a very well-written article on the recent controversy regarding Botox safety. The media has recently focused on a study from Italy showing botulinum toxin being found in parts of the brain fluid in mice who had it injected near their whiskers. Allure's Joan Kron (a very well-respected journalist) has written "Botox on the Brain," addressing the recent controversy. I always find her articles well-written, well-researched, and very objective. Click here for the article. She has also written on fat melting injections in the past. Click here for my post on this topic.